Washington DC has a number of great science museums that offer the opportunity to enjoy interactive hands-on activities in a safe and supervised environment. Visitors of all ages can learn about science, technology, engineering, art, math, and a variety of related subjects. Many of these world-class institutions provide special programs for groups and host a calendar of family-friendly events throughout the year. The Smithsonian's Natural History Museum is one of the top science-related museums in the nation featuring more than 125 million artifacts. 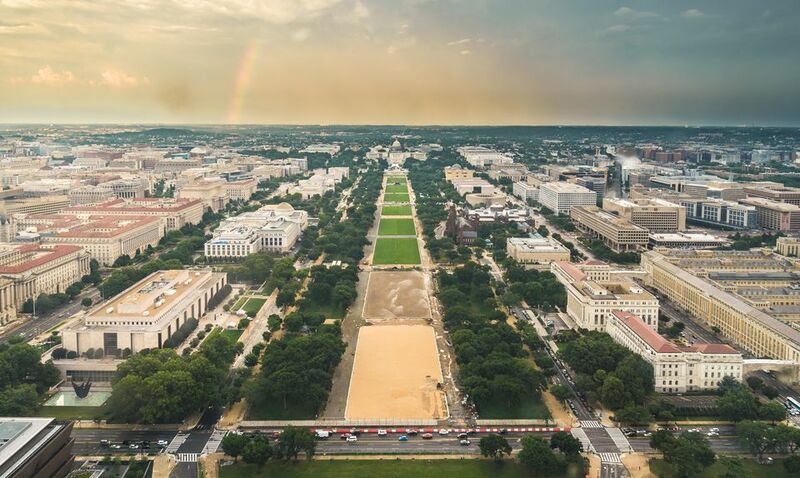 With its location on the National Mall in Washington DC, you can easily spend a few hours here and then continue on to enjoy other attractions. Enjoy a variety of hands-on activities and learn about a wide range of science and technology subjects ranging from geology to human evolution. Favorite exhibits include the Hall of Human Origins, the Sant Ocean Hall, the Last American Dinosaurs, the Family Hall of Mammals, and more. Best known for the magazine with articles about geography, history, and world culture, National Geographic is based in Washington DC and has a wonderful museum. The exhibits change regularly and range from interactive experiences to stunning photography featuring the work of National Geographic explorers, photographers, and scientists. The museum hosts live presentations that are engaging and thought-provoking. The Marian Koshland Science Museum is located in the Penn Quarter neighborhood of Washington DC and offers interactive exhibits and hands-on activities geared toward teenagers. Visitors can learn about the causes of climate change, explore how the brain works, learn why some light bulbs are more efficient than others, etc. The museum features state-of-the-art exhibits, public events, and educational programs. 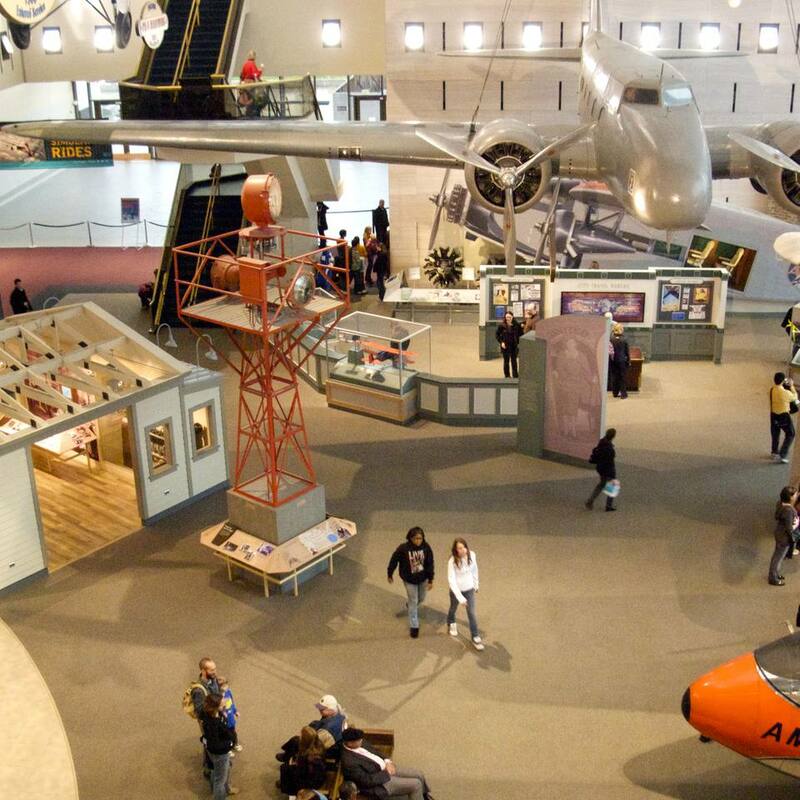 The Smithsonian's Air and Space Museum is one of the most popular science museums in Washington DC. Visitors learn about the history of airplanes and flight exploration and get to see thousands of artifacts as well as real flying machines. Imax and Planetarium presentations bring these technologies to life. The museum is located on the National Mall, so you can easily spend a few hours here as you visit other museums and historic landmarks. KID Museum opened at Davis Library in Bethesda, Maryland in 2014 and offers innovative programs and activities for elementary and middle school-aged children by engaging them in hands-on experiences that integrate art, science, and technology. KID Museum offers visitors the opportunity to be creative and to experiment with a wide range of tools and materials. Kids can use 3D printers, laser cutters, textiles, electronic circuits and motors, video cameras, and more. Drop-in sessions and workshops are available throughout the year. The National Museum of Health and Medicine was founded in 1862 as the Army Medical Museum and has had many homes and names in Washington, DC. The current museum space opened in Silver Spring, Maryland in May 2012 and features a wide range of exhibits on military medicine, traumatic brain injury, anatomy and pathology, and military medicine during the Civil War. The International Spy Museum is located in the Penn Quarter neighborhood of Washington DC and explores the craft and history of espionage. The museum is privately owned and displays more than 200 gadgets, weapons, bugs, cameras, vehicles, and technologies used by spies throughout the world. The museum offers a variety of interactive programs for kids and adults. The U.S. Botanic Garden is a living plant museum located on the National Mall in Washington DC. The Conservatory is a great place for plant-lovers to visit as it houses a state-of-the-art indoor garden with approximately 4,000 seasonal, tropical and subtropical plants. Special exhibits and educational programs are held throughout the year. The Steven F. Udvar-Hazy Center is a second location of the Smithsonian National Air and Space Museum located near Dulles International Airport in Northern Virginia. The museum displays many airplanes and spacecraft that there is no room for in the Downtown Washington DC facility. Visitors enjoy being able to get up close to the massive space shuttle Discovery, World War II fighters, satellites, gliders, helicopters, airliners, and much more. The museum hosts many special events and educational programs. Located adjacent to the National Security Agency in Fort Meade, Maryland, the museum houses a collection of cryptologic artifacts, exhibiting the technology that evolved throughout our nation's history that has been used in code making and code breaking.